The poor availability of surgery in developing countries is a long-neglected problem that has recently gained attention. 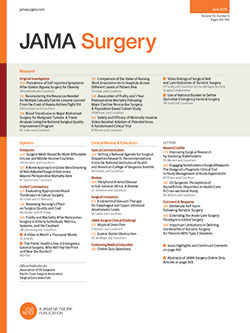 Surgical services are now recognized as cost-effective public health interventions that aim to prevent death and disability; up to 15% of the world's disability-adjusted life-years are amenable to surgery.1 The inverse care law, which dictates that the availability of medical care is inversely proportional to need, is starkly apparent in surgery, with the poorest third of the world estimated to benefit from only 3.5% of surgical procedures.2 Most developing countries only have 1 to 2 medical schools and few doctors go on to specialize in surgery (by one estimation, Africa has approximately 1% of the number of surgeons of the United States1). Finally, because of economic and political factors, many African doctors immigrate to the United Kingdom, Europe, and the United States, creating an even larger vacuum of health care providers.